This second book in the series was just as good as the first. Again, a gripping story, delightful and believable characters and plenty of action moving things along at a good pace. 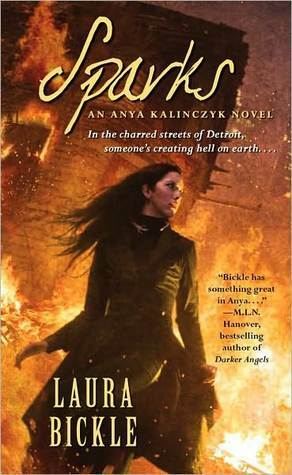 I love Anya's interactions with Sparky in this story and the new characters were fun and well-rounded, adding to the back-story already established in book one. You could read this book without reading book one, but you'll get more from it if you read it in order as there are some references to the previous storyline. I can highly recommend this to urban fantasy/paranormal fans and I do hope there may be more tales of Anya and Sparky in the future.